Daryl spent most of the afternoon today working on putting away some of the things in the yard to get ready for the upcoming cold months. Now I’m not for sure just all what he was doing, but I could hear some tractors headed up to the shed and of course the skid loader was busy going back and forth in the yard. 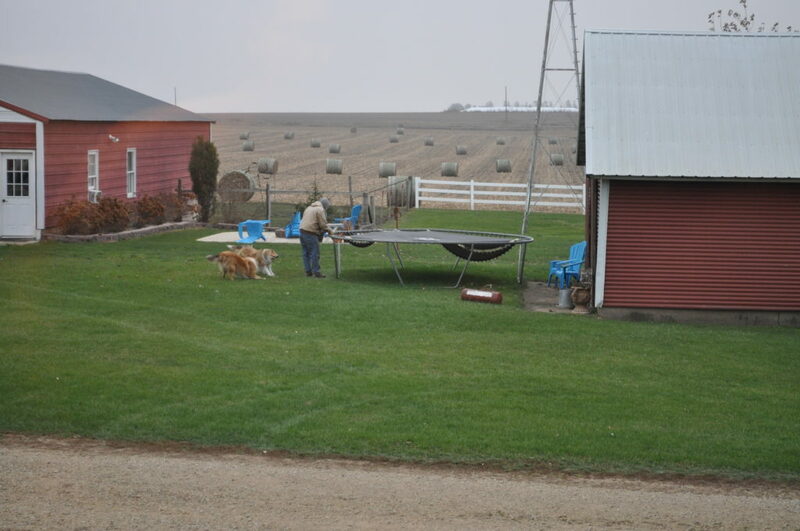 But one of the times that I did actually see what he was doing, I could see that he was working on taking down the trampoline. And of course the dogs were close by to help him! Well they were close by getting into trouble would probably be more accurate. So as the afternoon went on and when it was time to take the porch furniture away, I could hear Daryl laughing so out side I go to see what’s up. What happened was that when he took the first chair off the porch and just like that the dogs ran and jumped on the other couches. I think they must have been thinking if they laid on those that they could keep them. Yea, not so lucky! 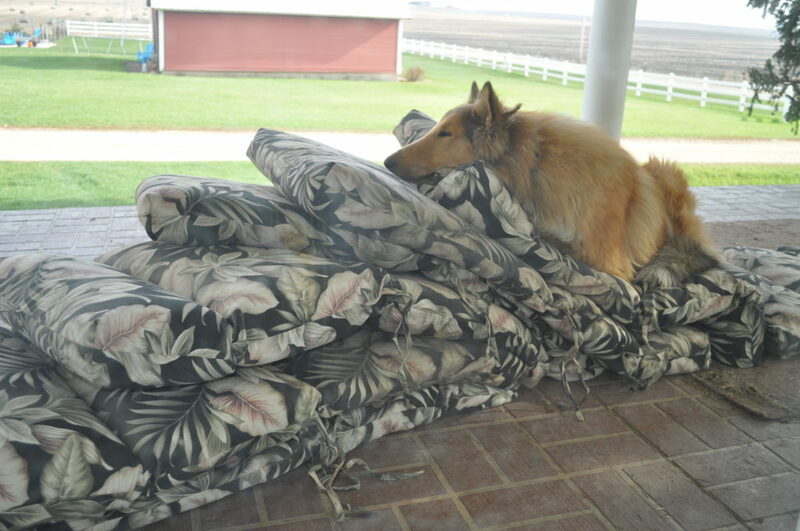 But after the furniture was gone and the only think left was the cushions, I think they still found a good spot to lay! Well at least for tonight that is.